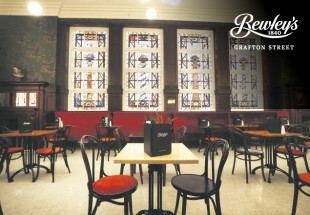 A 3 course dinner and a bottle of wine at the Garden Bar and Grill, Dun Laoghaire for two people. 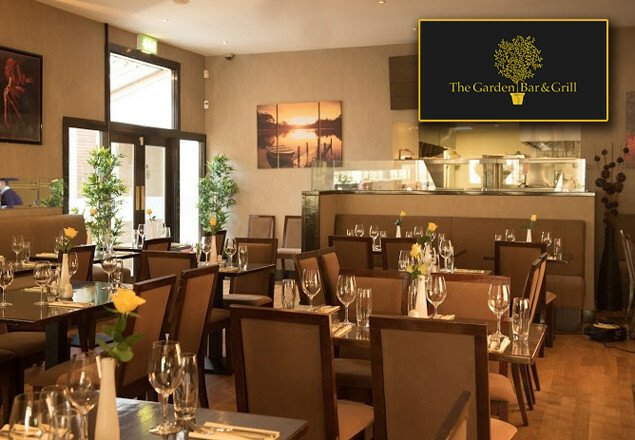 With this weeks's exclusive offer from Rewarding Times, we are offering you an amazing 3 course dinner for two people at the Garden Bar and Grill in Dun Laoghaire, including a bottle of house wine for only €69. Gourmet soup of the day - Soup made daily, served with chargrilled bread. Chicken Liver Pate - Served with red onion marmalade and charred toast pieces. Prawn Skewers - Served with a mixed salad and a mango and chilli salsa. 10 Oz Ribeye Steak - Served with house cut chips, tempura onion rings, vine tomatoes and a choice of sauce. Fresh Dublin bay prawns - Served in a smoked paprika batter with skinny fries, mint pea puree and a tartar sauce. Pan seared supreme of chicken - Stuffed with a chorizo mousse, served with potato gratin, poached asparagus and a white wine wild mushroom sauce. Oven roasted barbary Duck Breast - Served with a pesto couscous, plum and hoisin compote and asparagus spears. Homemade banoffi Pie - Biscuit base layered with dulce de leche, fresh banana slices with fresh cream and chocolate shards. Freshly Baked meringue nest - Topped with fresh whipped cream fresh fruit slices and a duo of fruit coulis. 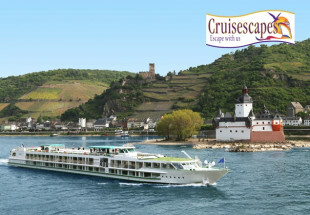 Vouchers are valid from January 11th to April 11th 2016. Three courses for two people with tea/coffee from the set menu included above including a bottle of house wine.